The star says it all on this chrome sculpture award with exquisite colorful Art Glass on a black marble base. 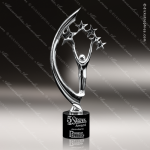 A black marble base holds up this flowing silver painted cast award with a suspended jade glass in the center. 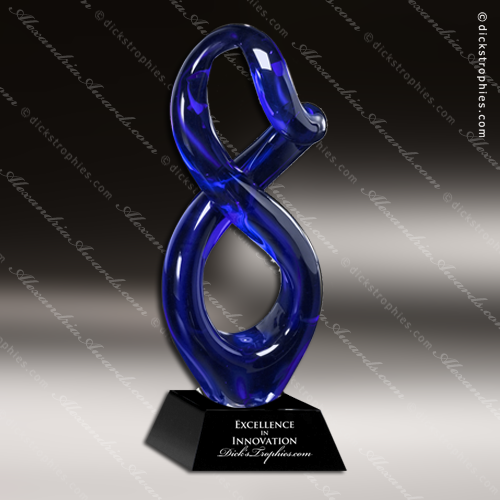 Artistic Blue Accented Chela Allegiance Art Glass Allegiance Trophy Award. 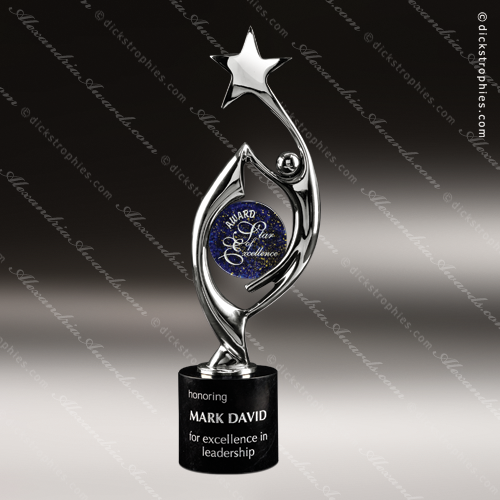 The word allegiance is synonymous with commitment. 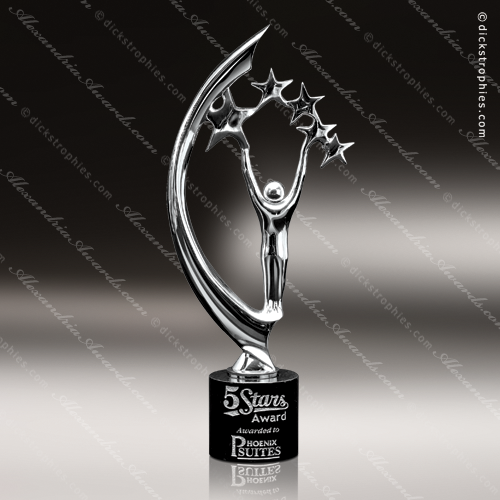 Use this award to honor commitment that rises above your expectations! 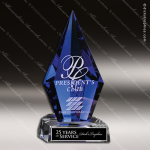 Artistic Blue Accented Chellean Diamond Art Glass Azure Diamond Trophy Award. The blue crystal of the Chellean Diamond takes on new dimension with fascinating and brilliant cuts, topped with a shimmering blue diamond! Artistic Blue Accented Chenille Azurite Art Glass Azurite Trophy Award. The brilliant blue on the half-cut diamond of the Azurite Award will make any personalized message pop! 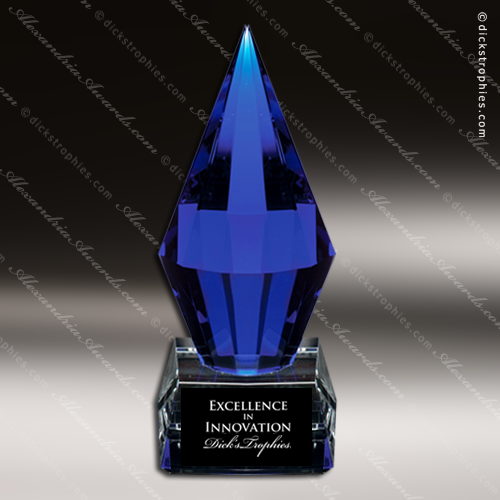 The stunning facets in the optical crystal base and blue crystal top create highlights when light shines on this award. 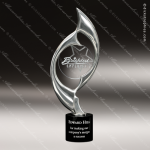 Showcase achievements with our cherry stained award plaques. Available with ebony or maroon velour background, your choice of color is accented by the brass border and beveled glass plaque. Etch vertically or horizontally. Comes ready to hang. 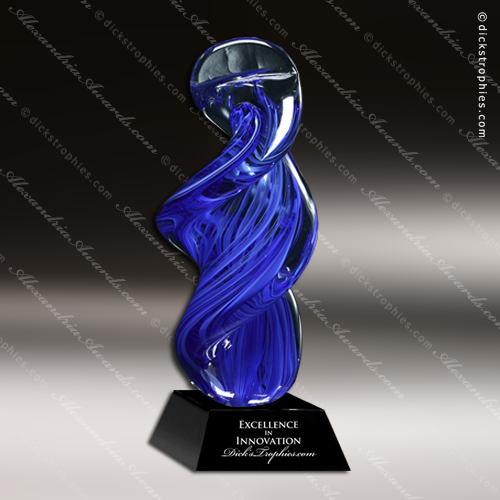 Artistic Blue Accented Art Glass Chesnutt Phoenix Trophy Award. 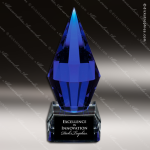 A combination of blue and clear crystal make this glimmering crystal achievement award the choice for successful endeavors. 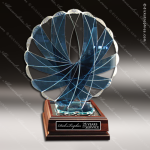 Artistic Blue Accented Art Glass Cheval Whirlwind Trophy Award. 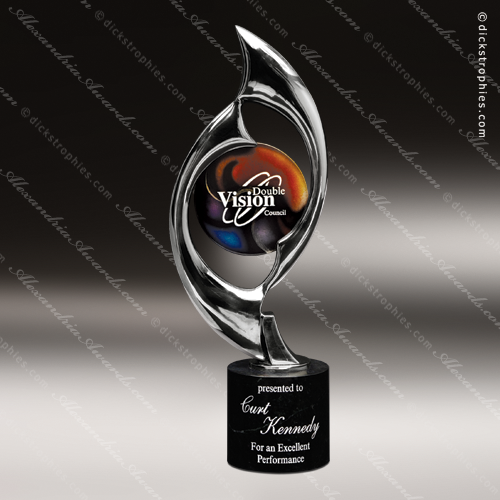 The blue streams of color in this award create a whirlwind of energy. Use the energy of this award to reward a job well done in a memorable way.